Located at 1228 Manchester St., we are just a 3-minute drive from Rupp Arena in downtown Lexington, in the heart of the Distillery District. We are right next door to restaurants, bars, a brewery, gourmet ice cream, coffee and more! 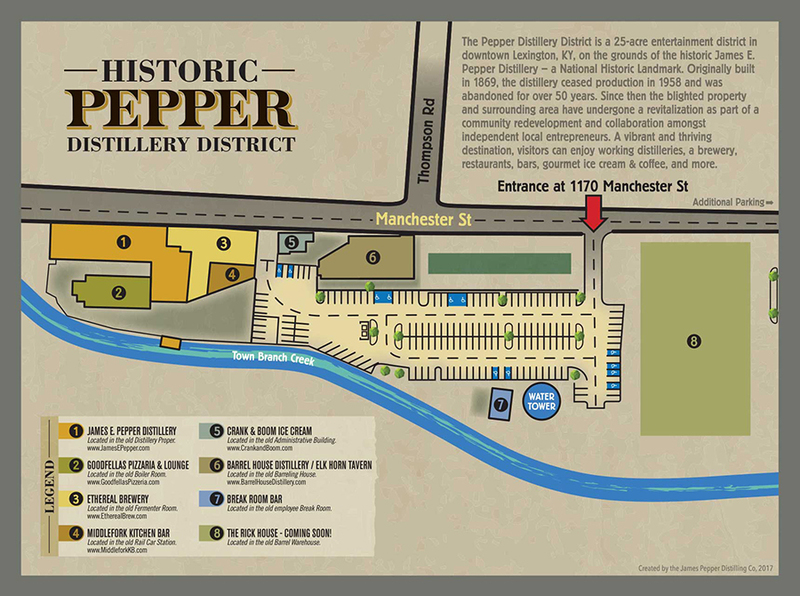 For Waze & Google maps enter "James E. Pepper Distillery" on Manchester St. for directions. Enter the parking lot at 1170 Manchester St. and head to the other side—our building is the one with the smokestack and '1776' water tower. Our front door is on the patio, just follow the signs for the PEPPER DISTILLERY.